Comment: Venturing into a new gem-variety means we routinely run through a two-step process: A) we study and evaluate the currently common treatments used on the gem, judging the extent of artificial change they inflict on the natural product. Some gems are always heavily treated into quasi man-made products. They will never make it here. 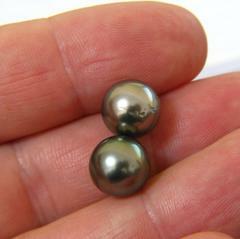 Others offer market sections that are untreated and natural; those we search-out and, here comes the most painful and often expensive part of the process, we must find scientific proof of their natural no-treatment status (the usual suspects in pearls are regular heat, dying, irradiation, coloring, pretend-fakes, etc. pp.). For pearls, only GIA was currently offering a report including treatment indication. 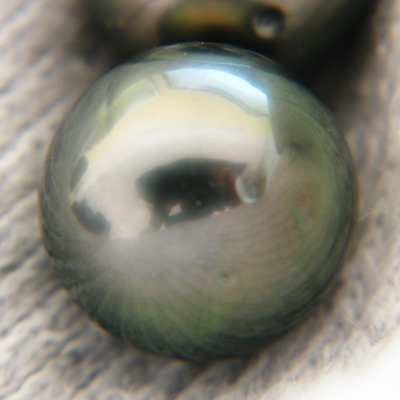 For starters we will present cultured pearls, when untreated and natural. With time and experience, we will graduate to non-cultured pearls, the pinnacle of 'pearldom'. Once we have done our homework, and our first purchases were actually certified as untreated specimens (by far not always the case), only THEN comes the second step of introducing a new variety: B) Instead of dropping our customers into simple AAA, AA, A, grading systems, we study the individual features of quality that make a gem valuable and rare, and develop a qualifying grading standard to judge the new specimens. Many colored gems fit into our decade-old, often copied, but still best-practice grading system (no unnecessary humbleness for the work we did), sometimes with some tweaking for stars, color-changers, cabochons or such. Then there are those very different gems like opal, jade or pearls which demand a thorough re-work or even a complete new grading system, like the complex pieces of art from the David Jerome Collection. Enough theory on the introduction of new gems for now; a process that took over a year for pearls. 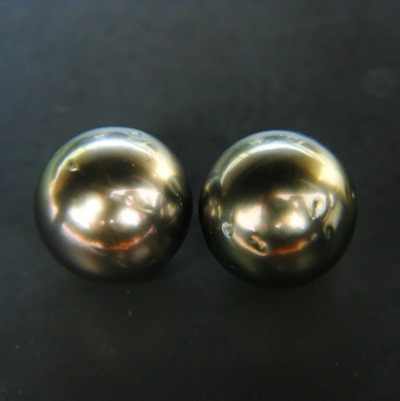 Our first organic newcomers, these two saltwater pearls from Tahiti, reach over the magic 10mm mark, are almost identical in size with only 0.04mm variance, and both shine in a cold silver-steel without any undertone. GIA certified them as 'untreated cultured saltwater' pearls. In addition to our usual package of add-ons, free shipping, original report, WLT purchase etc. for pearls our prices INCLUDE drilling or any other connection to jewelry we may design for you in our workshop (also any setting risks). More types of pearls are coming up with surprises in color, shape and value. Stay tuned.